The Royal Canadian Air Force announced the formation of a women's branch, called the Canadian Women's Auxiliary Air Force. The RCAF was the first branch of the Canadian military that accepted women. Thérèse Forget was born in Montreal, Quebec. She married politician Pierre Casgrain and raised a family, as well as becoming one of the leading suffragists in Quebec. Thérèse Casgrain was a prominent reformer and human rights activist who became the first woman in Canada to lead a political party - the Co-operative Commonwealth Federation (CCF). Alys McKey Bryant became the first woman to fly a plane in Canada, when she performed in an exhibition flight for Prince Albert, Duke of York - who became King George VI. 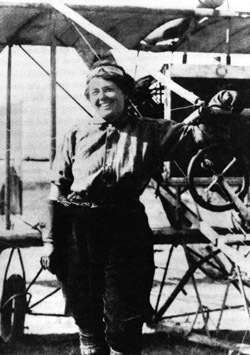 Alice was an American who learned to fly after winning a job to perform in flight demonstrations. She married John Bryant, one of the pilots who hired her, and ended her flying career after his death in August 1913. Watch a short video clip of Alys and her plane. Canadian women could join the navy, thanks to a new order-in-council. 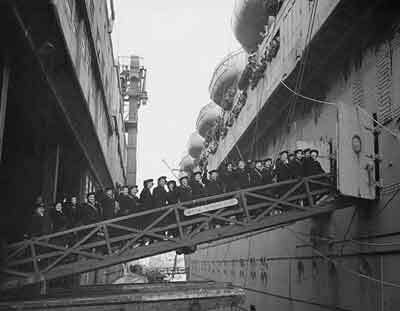 The creation of the Women's Royal Canadian Naval Service enabled Canadian women to help out during the Second World War by joining a group soon known as the "Wrens".